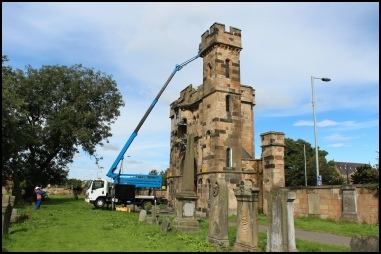 Many thanks to Glasgow City Council/DRS Department for recent inspection of the gatehouse. Result being a new drainage pipe needed and sealing of roof area to prevent further water penetration problems. We are currently in the process of seeking funding to proceed with a feasibility study of the gatehouse building. Next step once we have the study carried out, is to apply for lottery funding etc. is to restore/reuse the building for the benefit of the community and visitors alike.